Following the historic U.S.-China joint announcements on climate change and clean energy presented by Presidents Obama and Xi last November, the global climate change picture continues to come into clearer focus. In the foreground, the nations of the world are moving along the ‘road to Paris‘ and preparing their voluntary action plans for consideration by the world’s heads of state at the COP21 meeting in Paris this December. In the background to this picture, China is now making clear the costs — and the expectations it has for extra-governmental support — in funding the programs to meet pollution targets in its own national climate change plan. China will rely on global financial institutions and instruments to fund the 85% shortfall. These sources include carbon trading, multilateral loans, bond issues, and special funds. China needs Rmb2tn ($320bn) a year in investment over the next five years to meet targets on reducing pollution set by the ministry of the environment, according to the country’s central bank in a report on “green” finance. The report, issued Wednesday, estimated that China’s budget covered only 15 per cent of the required investment, and called for carbon trading as well as financing tools such as loans, bonds and special funds for green projects. Last week the ministry released a plan to address water pollution while detailed plans have already been released by provinces to meet air pollution goals set out in 2013. China’s financing announcements as well as its five-year plans can be a mishmash of previously announced infrastructure projects and new pet schemes, making it hard to pin down how budgets have been allocated. Some of the recommendations are under way. 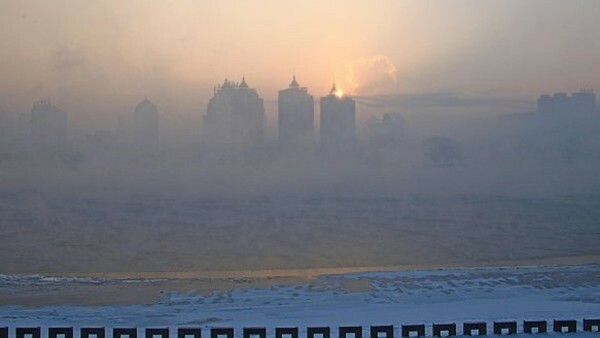 China plans to combine seven city-based carbon trading pilots into a national scheme next year. Developers may get preferential bank loans if their projects meet national priorities, including a goal for renewable energy to make up about a fifth of China’s installed capacity by 2020. Projects already announced include the $150bn construction of dozens of nuclear power plants, and plans to build hydropower plants on the few stretches of Chinese rivers that are not yet dammed. Some green financing schemes have potential for abuse. For example, property developers can avoid lending restrictions by labelling their buildings “green” or “energy efficient”. Both concepts tend to be loosely defined. Some of China’s goals are modest by developed-country standards, such as making 93 per cent of water supplied to cities “suitable for drinking” by 2020. Nonetheless, the targets require billions to be spent on water and sewage treatment alongside industrial upgrades. « Earth Day 2015 — Let’s Drink to Water!